Moxley Electronics is proud to introduce Athena Controls into our product family. Located in Plymouth Meeting, Pennsylvania, USA, Athena Controls, Inc. has been designing and manufacturing custom controller solutions since 1965. Their products include digital and analog temperature control instrumentation for applications in the process industries worldwide, ranging from plastics and packaging to food and pharmaceuticals. Athena offers temperature control solutions in three major areas of the control loop: panel and sub-panel controllers, SCR power handlers and solid-state relays, and temperature sensors. In recent years, requirements to be both visually and functionally distinctive from the competition have driven Athena to make large investments in engineering and production to better serve this market segment. 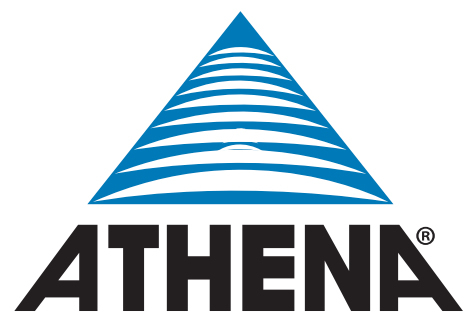 It is Athena’s goal to provide value-driven temperature measurement and control solutions that are individually tailored to satisfy the needs of their customers. They are committed to outperform our competition by supplying innovative, quality products, supported by superior service and delivery. In addition to their standard products, Athena will gladly modify or custom-engineer controllers with options to satisfy special OEM requirements. Special output types, temperature ranges in thermocouple, platinum RTD, and mA/mV inputs, as well as various display formats and control modes are some examples of custom product capabilities. Athena also provides total turnkey solutions, with custom control modules designed and manufactured to your specifications.